As a stipulation of vehicle registration, the state of California requires vehicles to pass a smog check. The purpose of the smog check program is to reduce emissions and improve the efficiency of vehicles within the state, thus improving air quality and helping the environment. For those in the Apple Valley and Victorville area, there are some important things to be aware of. For starters, understand how often you’re legally required to have a smog check. In California, the requirement is every other year as a condition of renewing your vehicle registration. 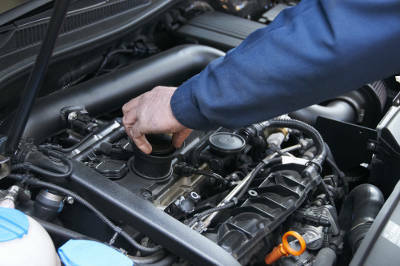 You’ll receive a renewal notice, along with a form indicating that your vehicle is due for a smog check. You’ll want to be sure to bring in your renewal paperwork at the time of your smog check so that you can complete the process of renewing your registration. Where is a Smog Check Performed? All smog checks must be performed at a state-licensed and approved location. Prices can vary by location, as the state doesn’t regulate pricing on smog checks. To make sure you’re getting a fair deal, we recommend bringing your vehicle to Road Runner Auto Care for your smog check needs. Here, you can rest assured that you’ll receive honest, reliable service at an affordable price. What Happens if a Car Fails? If, for whatever reason, your vehicle fails its smog check, the good news is that you have plenty of options. For starters, you’ll want to find out exactly what caused the failure and what the price would be for the necessary repair. If you cannot afford the repair, there are assistance programs offered by the state that can cover up to $500 of the associated costs. You also have the option of retiring your vehicle at a state-approved dismantler, which can entitle you to up to a $1,500 credit towards a new car. These are just a few guidelines to keep in mind when it comes to state-mandated smog checks in the state of California. Hopefully, this gives you a better idea of what to expect!